Warm colors and layered bedding create a cozier look. Winter got you down? When New Jersey temperatures hit the single digits and the chore of digging out from repeated snowfalls are making you crave moving to Florida or the Caribbean – but you really don’t have that option! – turn up the visual “heat” in your home instead. Just bring in shots of warm tropical colors, such as pink, red, orange, yellow and even comforting chocolate brown, in pillows, blankets, comforters, and window treatments. 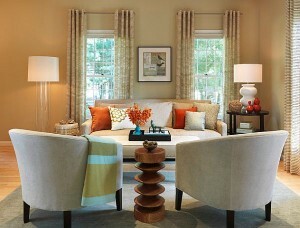 Inexpensive items such as pillows or pillow covers (try Bed, Bath and Beyond and West Elm or Etsy, Wayfair, or Overstock.com), decorative red, yellow, or orange accent vases or art, and higher-wattage bulbs and/or an additional lamp or two can all make your home more inviting and cozy for those long winter months spent mostly indoors. Another tip: layer multiple blankets and decorative pillows or invest in a set of heavier bedding and velvet panel drapes that can be swapped out in the spring and summer for lighter-weight alternatives. 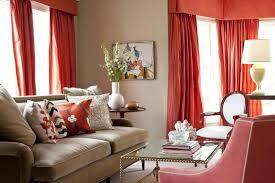 Layering and heavier-weight fabrics even in cool colors make homes look warmer. 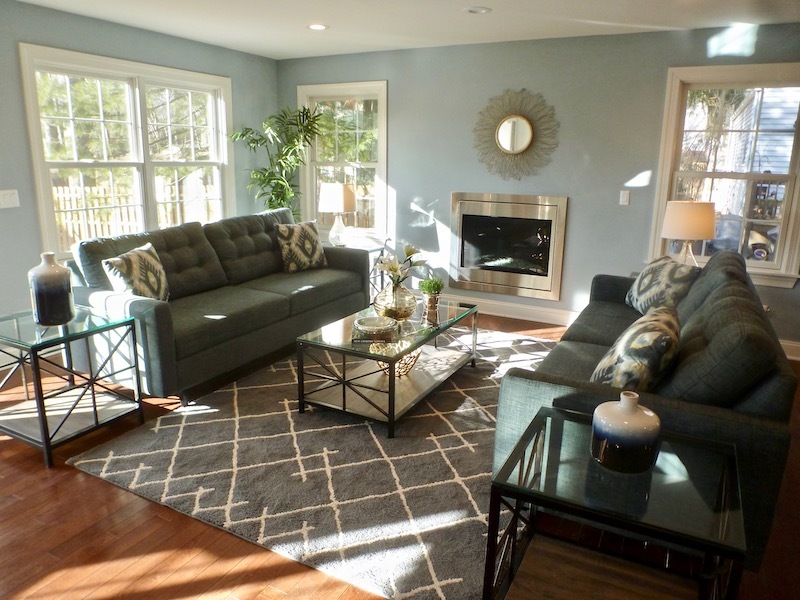 Not only can these small changes make a big change in your environment and mood, they can also make your home a more interesting and fun place to live year-round that is reflective of our changing seasons.